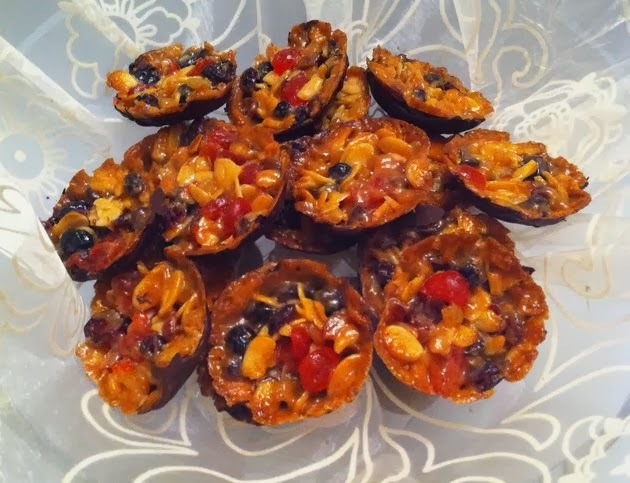 Florentines are festive cookies, traditionally they are made for Christmas and packed with a luxurious medley of fruits and nuts. I am using flaked almonds,raisins,cranberries,cherries, candied orange peel and diced stem ginger, but the choice is yours. I can only guarantee that your guests won't be able to resist these jewelled treats. Place a small cartouche of grease proof paper at the bottom of a shallow muffin tray. Melt the butter, sugar and honey over low heat,until the butter has melted and the mixture is turning golden brown. Off the heat, stir in the double cream and flour. 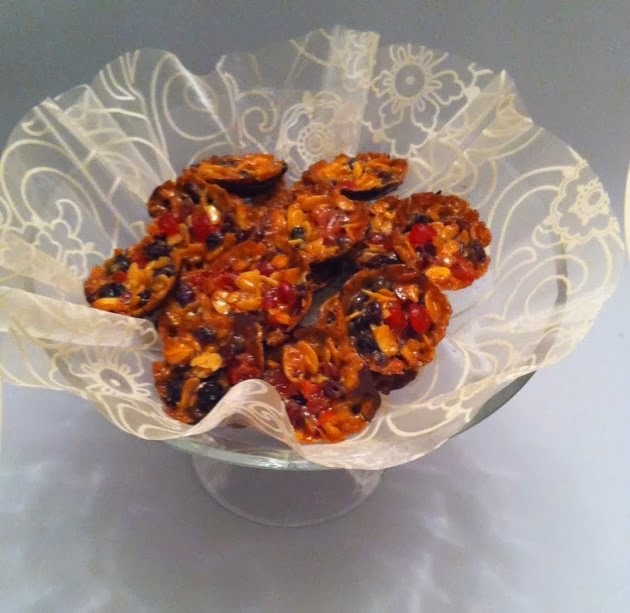 Add the fruit & nut mixture and mix well. 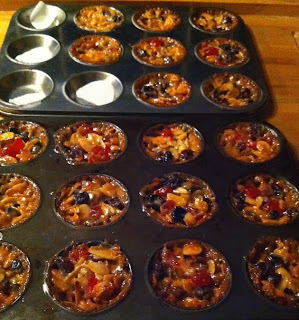 Drop spoonful of the mixture into each hole of the muffin tray and bake for 10 mins until golden brown. Leave in the tray to set before peeling off the grease proof paper. 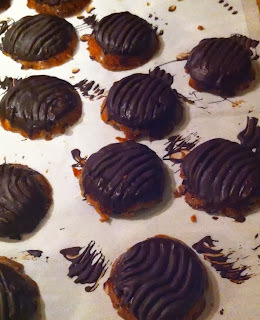 Melt the chocolate over a pan of simmering water and spread evenly over the flat side of each Florentine. Run a fork through the Chocolate , for a wavy pattern before it hardens completely.